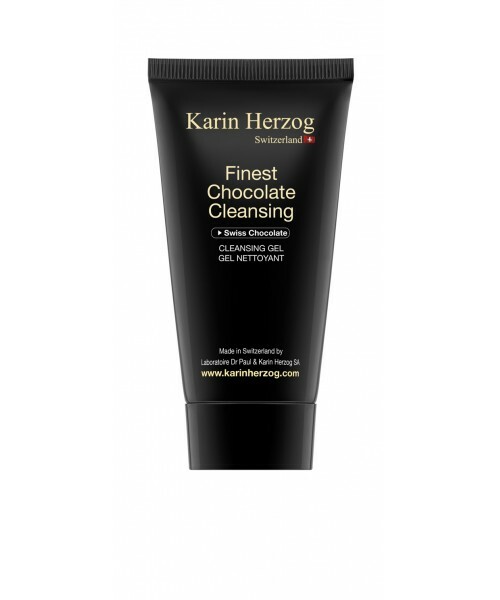 Cleansing and makeup removing gel for the face and eyes, featuring botanical and minerals oils as well as chocolate. Enjoy a moment of pure delight and well-being. Highly effective, this gel perfectly eliminates all traces of makeup*. Soft and creamy chocolate makes this product extremely gentle. Take a very small amount of cleanser, warm it between your fingertips, and add water to fingertips before applying to the face and neck, then massage gently with circular movements, adding additional water to emulsify. Rinse thoroughly with a warm washcloth until all traces of cleanser have been removed. Petrolatum, Paraffinum liquidum, Glycerin, Cetyl alcohol, Polysorbate 80, Parfum, Propylene glycol, Salicylic acid, Theobroma cacao extract.